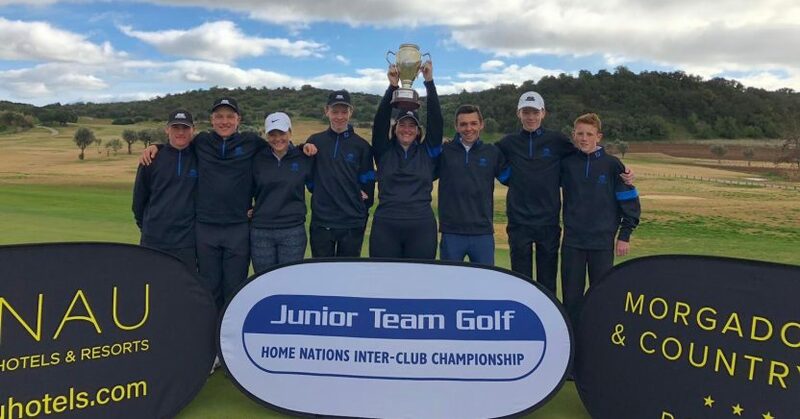 The Surrey team held their nerve over four days of competitive match play to claim the club’s first international victory, beating off competition from the best junior teams from England, Wales and Scotland. The Steve Redgrave Award for the best category 2 player went to Ben Wilson and Jess Adams was also recognised for her sterling performances with the trophy for Best Performing Girl. After the presentation of the individual awards, the Burhill juniors went up as a team to collect their overall accolades – they all received a Cleveland wedge, balls, towels and individual keepsake trophies.